HOUSTON Kelly Madsen has joined the Rice soccer staff as an assistant coach, Owl head coach Nicky Adams announced on Monday (February 5). 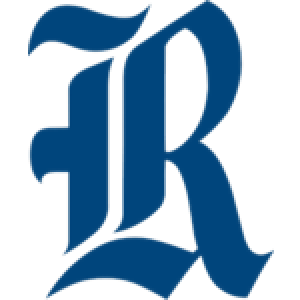 Madsen joins Rice from Stephen F. Austin University where she worked the last seven seasons. Off the field she organized the team travel and equipment, served as the programs academic coordinator and was the director of camp operations. Madsens work helped SFA retain its status as the top womens soccer program in the Southland Conference. In her seven years with the Ladyjacks the team won five regular season conference titles and played in the SLC Tournament Final a total of six times. I am so excited to be adding Kelly Madsen to our staff, said coach Adams, the 2017 Conference USA Coach of the Year. Kelly has proven to be a successful coach at SFA and we are looking forward to have her and husband Patrick join our program. She is so passionate about positively affecting young women, and her competitiveness and love of the game is a perfect fit with the culture of our program. In her seven seasons Madsen helped the Ladyjacks compile an eye-opening 99-34-7 record with a host of individual honors and statistical records for the student-athletes. She was part of the 2012 coaching staff that saw SFA play in the NCAA Tournament. Madsen came to SFA after serving two years as an assistant coach at the University of Dubuque (Iowa). She helped lead the Spartans to their first-ever Iowa Conference Tournament title and first NCAA Tournament appearance in 2009. Madsen assisted in all areas of the program, specifically recruiting, scouting of opponents and daily training. A native of Pensacola, Fla., Madsen starred as a midfielder for the University of South Alabama from 2004-2008. She was a First Team All-Sunbelt Conference honoree and selected to the Sunbelt Tournament Team. Madsen scored 22 goals and added 20 assists over her collegiate career. After graduation, she played professionally in England for Portsmouth Women's Football Club and in the W-League for the London Gryphons (London, Ontario). 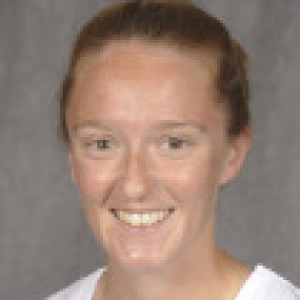 Madsen currently holds her NSCAA National Diploma and NSCAA Level III GK Diploma. She obtained her bachelor's degree in communications in 2008 and her master's degree in communications in 2011. The Rice soccer program hired Madsen after a sensational 2017 season where the Owls went 12-4-2 overall, won the C-USA regular season title and earned an at-large bid to the NCAA Tournament. Coach Adams recently completed her seventh full season at the helm of the Rice program and has been at the University since 2003.